Tommy Hilfiger announced, on Monday, July 6, that “Today’s freshest musical talents are taking over Tommy Hilfiger to show you how to rock the new Tommy Jeans collection”. 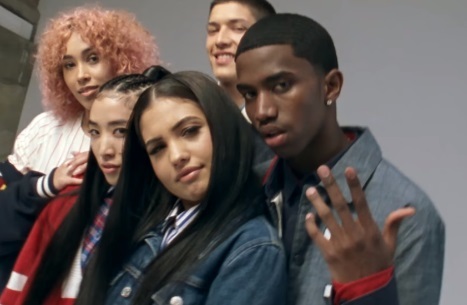 In a spot released by the American fashion brand on social media, part of the new Tommy Jeans autumn campaign, Mabel, Snoochie Shy, King Combs and Aaron Unknown are featured rocking new Tommy Jeans. The collection is available starting today, August 7. This is not the first time P. Diddy’s 19-year-old son, Christian “King” Combs, stars in an advertising campaign for Tommy Hilfiger. He also starred in the spring 2018 Tommy Jeans campaign, which includes a lineup of other seven “cool kids that have style written into their DNA”, like Gabriel-Kane Day-Lewis, the 22-year-old son of Daniel Day-Lewis, Pyper America Smith, the older sister of runway superstar Lucky Blue Smith and a bassist in the band The Atomic, models Lina Hoss, Sup Park, and Diana Silvers. Among the celebrity figures starring in Tommy Hilfiger advertising campaigns also are Lewis Hamilton, who was announced the new Global Ambassador for Tommy Hilfiger Menswear, Gigi Hadid, womenswear ambassador and designer, and The Chainsmokers (aka Drew Taggart and Alex Pall, the DJs behind Grammy-winning EDM-pop duo), who are global brand ambassadors for Tommy Hilfiger’s menswear collection starting Fall 2017.